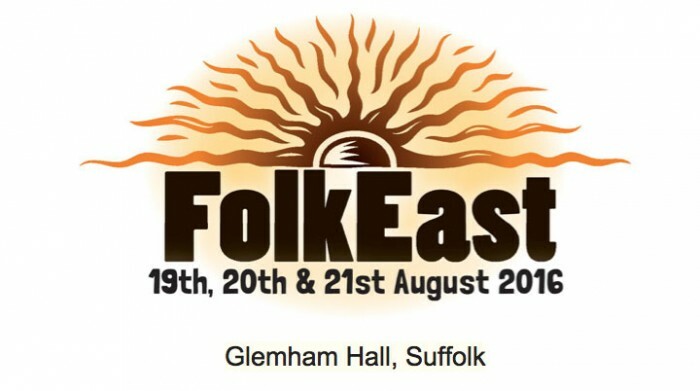 East Anglia’s fast-rising “new kid on the block” festival FolkEast is back for a fifth year this August, proving why it is nothing like other music festivals. The three day festival will return to the glorious 300-acre Suffolk estate of 16th century Glemham Hall, the home of Major Philip Hope-Cobbold, between August 19-21. And it will be packing a punch with no less than seven 2016 BBC Radio 2 Folk Awards nominees and three powerhouse band headliners – the musical whirlwind that is Eliza Carthy’s Wayward Band, a rare appearance by seven-piece Blowzabella and an exclusive UK festival performance by Irish supergroup Usher’s Island. Eliza’s all-star band includes Sam Sweeney from Bellowhead, David Delarre (Mawkin) and Lucy Farrell from the Emily Portman Trio while alternative acoustic roots band Blowzabella include diatonic accordion wizard Andy Cutting (2016 BBC Radio 2 Folk Awards Musician of the Year nominee) among their number. Blowzabella are a unique band – their driving, drone-based sound played with a strong sense of melody and rhythmic expertise. They compose their own music influenced by English and European traditional dance tunes. Usher’s Island, who so far have only been seen at last year’s Celtic Connections unites two ground-breaking generations of Irish musicians. The revered figures of Donal Lunny, Andy Irvine and Paddy Glackin link the band’s heritage back to the glory days of Planxty and The Bothy Band while two of today’s leading heirs to these pioneers – signature guitarist John Doyle and virtuoso flautist Mike McGoldrick, bring their experience of Celtic and other international roots styles to the potent mix. They will spearhead the line-up for one of the most singular events on the UK festival calendar, launched five years ago by husband and wife John and Becky Marshall-Potter. True exponents of ‘the road less travelled’ it showcases Suffolk with a keen eye, giving a real sense of place. Rekindling the ancient Eastfolk moots on the Glemham Hall estate where for three days a year the folk from the East would meet kith and kin at harvest time for “a bit of a do”, this gathering has Suffolk running through it like letters in a stick of rock – from its locally sourced fare in The Imagined Suffolk Food Village to its suppliers, its arts and crafts, its own newspaper The Eastfolk Chronicle and its Suffolk Punch horses. Where else would you get a refreshingly different line-up across six stages (including St Andrew’s Church, the open air Sunset Stage and the hidden woodland Soapbox Stage), Suffolk food fare, two authentic ‘village’ pubs serving festival ales, an instrument makers’ festival, the FolkEast Art Arcade, donkey rides, children’s activities, yoga, poetry, storytelling, horse drawn carriage rides and tours of Glemham Hall by Major Philip Cobbold himself! Other confirmed acts include FolkEast’s irrepressible patrons The Young’ uns (Sean Cooney, David Eagle and Michael Hughes). Popular winners of the 2015 Best Group title at the BBC Radio 2 Folk Awards and just nominated for the same title in 2016 they will be staging a performance with Aldeburgh Young Musicians at FolkEast and hosting the Broadroots Stage where they will interview some of the performers – recorded for a live podcast. David Eagle, the trio’s comedic genius, will bring the Saturday night to a riotous close when he performs his exclusive DJ Set “The Young’uns in the Mix”, mixing traditional folk songs with memorable pop and rock classics. Andy Irvine will give a solo performance as well as his band appearance and Andy Cutting will take to the stage in both Blowzabella and the new Anglo-French trio Topette. Performances by fearless singer songwriter Chris Wood and banjo star Dan Walsh (2016 BBC Radio 2 Folk Awards Musician of the Year nominee) promise to be highlights as well as award winning Scottish folksters Rura (boasting three BBC Radio Scotland Young Traditional Musician of the Year finalists), and previous BBC Radio 2 Young Folk Award winners Moore, Moss and Rutter. Two of the finest young voices on the circuit – Kent’s award winning singer songwriter Luke Jackson and Norfolk’s former Britain’s Got Talent finalist Sam Kelly (with his band The Lost Boys) are also among acts to seek out. Sam is nominated for the Horizon Award for best emerging act at this year’s Folk Awards. Top duos appearing will be BBC Folk Awards Best Duo nominees Katriona Gilmore and Jamie Roberts, new act John Dipper and Dave Malkin and The Hut People while engaging singer songwriter Sam Carter returns to the place where he and Jim Moray launched the stand-out band False Lights(nominated for Best Album at the 2016 Folk Awards). Suffolk performers will include The Broadside Boys, The Busking Sharks, the duo Shorelark, The John Ward Band and Halesworth-based singer songwriter Daisy Vaughan. The Soapbox Stage, curated by local promoter Amy Wragg will introduce up-and-coming musicians and poets from the region. 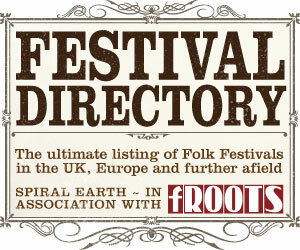 FolkEast will be stepping up its dance programme with a plethora of Morris sides from The Witchmen to Ouse Washes. There will be a dedicated dance venue hosting a wide range of events including daily ceilidhs, workshops and late night dance sessions. Other workshops will cover song, instruments, writing, art and heritage crafts. And this year’s event will see the return of Instrumental, a festival within a festival. Bigger and better for 2016, it will bring together some of the country’s top instruments makers. Standing out on site with a 10’ high steel guitar at the entrance it will see top craftsmen from Wales, Kent, Cambridgeshire, Derbyshire and beyond bringing along anything from bagpipes, fiddles and even banjos made from biscuit tins! Early Bird tickets for the festival are now sold out. Advance weekend tickets are available price £115(adult), £98 (full time students, senior citizens) and £65 for Youth tickets (12-17 year old) which must be purchased with an adult ticket. Family weekend tickets for two adults and two 12-17 year olds are £320. A great offer sees free admission for children aged 11 and under and optional camping is included with all weekend tickets, with a £25 charge for campervans and caravans. Located close to the A12, the festival will also be running shuttle buses to the site from Wickham Market station. More performers and a launch event will be announced soon.